Messaging app Line wants to take over your phone’s screen. The company has announced a new feature — Line Deco — which lets users of both Android and iOS devices radically change the look of their device and icons. 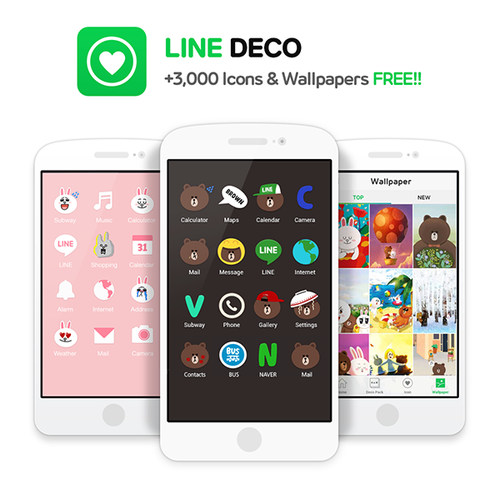 Line Deco essentially replaces default app icons with images of the app’s cartoon characters instead, and provides matching wallpaper options too. Line, which has nearly 400 million registered users, says that there are over 3,000 icon and wallpaper designs — all of which are free until the end of April, to encourage adoption. Line doesn’t actually replace your default icons, instead it creates shortcuts for them. 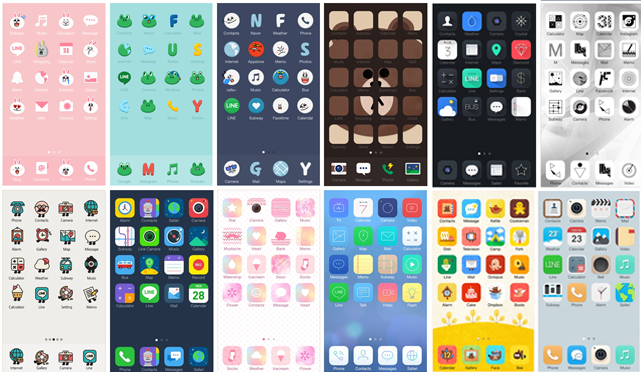 If the idea of having a screen of cartoonish icons floats your boat, then simply create a new folder to house the default icons out of sight, and then select a set of Line-made alternatives to replace them on your home screen. This concept may seem ridiculous in the West but, speaking as someone who lives in a country where Line is huge, I can imagine plenty of phone owners who would happily ‘Line-ize’ their phone… and even pay for the privilege once the designs are no longer free. While Line wants to put its branding all over devices, it isn’t offering a customized launcher for Android phones. Perhaps, if Line Deco goes well, that might be a consideration for future. Like the company’s sticker sales — which gross over $10 million per month — this customization service might turn into a decent money-making scheme in countries where the app is popular. While we can assume that the company’s profile is legitimate, security analysts have warned in the past that iOS configuration profiles are a potential security threat for Apple. You should be careful and not download profiles from third party websites or apps — in this case, the best approach is probably to avoid this Line feature if you have an iOS device. Go buy an Android phone if you are keen on software customization and don’t want to worry about the security risk. Apple removed gifting from Line’s iOS app last year, and it will be interesting to see if the US company takes any action in response to this use of provisioning profiles.